Portrait of young brunette woman standing near Colosseum in Rome, Italy in evening. Girl turns and looks at camera. 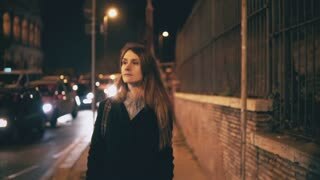 Portrait of attractive beautiful woman walking in the city centre near the Colosseum in Rome, Italy late at night. 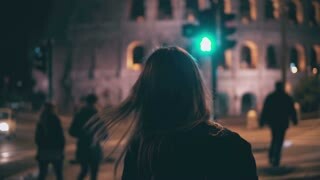 Young attractive woman walking late at night alone in Rome, Italy. Girl goes through the city centre near the Colosseum. 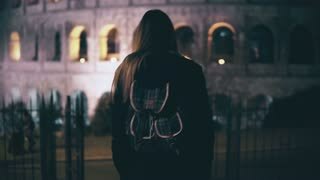 Back view of young brunette woman walking late at night in Rome, Italy city centre. 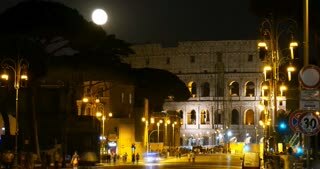 Girl turns and see the Colosseum. 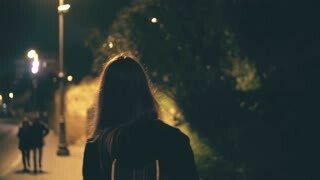 Back view of brunette woman walking late at night in Rome, Italy. Girl cross the road at crosswalk near the Colosseum. 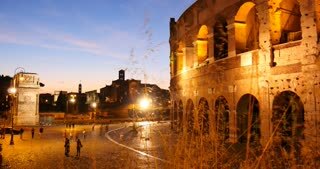 Attractive woman standing near the Colosseum in Rome, Italy and using smartphone. Girl walking and talking on the phone. 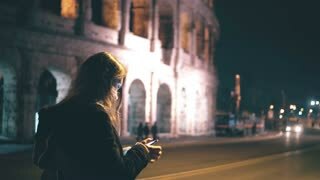 Young attractive woman standing near the Colosseum in Rome, Italy and using the smartphone. Smiling girl chatting. Young tourist woman lying near the Colosseum in Rome, Italy. Girl take a selfie photo near the sight on smartphone.